Homelessness policy in Massachusetts is currently under a substantial reform. What was known as a shelter base assistance system is now being transformed to a home base rent assistance system. 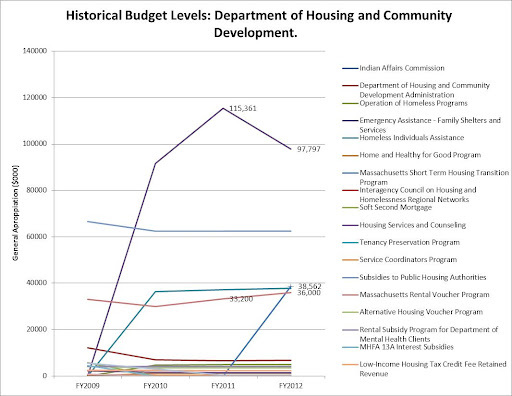 That change in the policy accounts for at least U$38,562,000,00, which constitutes a budget allocation for the Massachusetts Short Term Housing Transition Program. Such policy change –or new budget allocation- has evidently had the purpose of bringing into the homelessness assistance system a new stakeholder who is now benefiting from the mentioned tax-payer dollars. This paper takes a brief look at such policy change by first identifying system’s stakeholders and, second, focusing on the Massachusetts Short Term Housing Transition Program’s definition. In order to do so, the first part identifies homelessness causes and stakeholders. The second part briefly outlines stakeholder’s incentives. Finally, in the third part we present some conclusion. We are inferring from our thesis statement that the reasons behind the change in the homelessness policy are private interests and motivations. Private interests limited to homeowners who make a profit from renting apartments. In order to briefly support such assumption, it is necessary for this essay to identify the homelessness causes and at the same time the stakeholders related to those causes. We are basically assuming that the change in the policy is an outcome of the interaction between stakeholders who act in a self-interest. The perspective of this analysis can be defined as Neo-institutionalism. We are assuming that the stakeholders make rational decision, have their own interest and interact with others (Simon, 2007. Pag. 43-45). In other words “Individual decisions are a function of individual self-interest and organizational norms, values, and processes” (Simon, 2007. Pag. 44). It then infers that whoever allocates the resources in the budget has his/her own agenda. The budget itself unveils the stakeholders and their interest. Maximization of profits for businesses, maximization of votes for politicians and shelter for homeless people are the drivers of the systems from this perspective. Now, in order to better understand who is behind the homelessness policy in Massachusetts, it is important to define the problem. Marta Burt in 1997 published a study in which she cogently articulates the causes for homeless growth in United States during the 80’s. The model she designed tries to find equilibrium between supply and demand sides of housing market. Her analysis points that “the most direct reflection of mismatch between rental housing cost and the ability of poor people to pay those cost is the statewide excess of very low-income renters to rental units they could afford” (Burt, 1997. Pag. 177). Generally speaking Burt states that “In discussion of homelessness, the factors consistently mentioned as contributing to the growth include shift in housing availability and affordability, increase in poverty, change in situation of the job market, public policy toward people with specific disabilities, and public program levels” (Burt, 1997. Pag 171-172). Burt gives us a clear a nominal list of the causes that contributes to the growth of homelessness. Our analysis uses Burt identified factors as an indication for identifying the stakeholders. Table number one shows a parallel between the variables proposed by Burt and we assign a presumable stakeholder. At first glance we found three stakeholders associated with what are Burt causes of Homelessness: The first stakeholder is the Governor, who acts rationally by trying to maximize his electoral benefits. The second stakeholder of the system is the homeless, who acts rationally by trying to maximize his social assistance benefits. The third stakeholder is the Landlord, who acts rationally by trying to maximize his profits from the rent. % of adults with 12+ years of education. Regarding homelessness policy, the interaction among these three stakeholders may be defined in the following terms. Homeless tries to maximize his benefits by demanding public official assistance for shelter and by demanding affordable units from the landlord. Landlord tries to maximize his profit by assuring his rental units are occupied or rented. Governor tries to maximize his electoral gains by addressing constituencies’ demands. Governor’s constituencies are homeless and landlord. Therefore, Governor’s policy to reduce homelessness must address two demands: homeless’ demand and landlord demand. Basically, since the rules in democracy determine broadly the behavior of elected official, this situation reflects evidently a principal-agent problem. Principals in this case are two: homeless and landlord. Both control Governor’s behavior by demanding social solutions to common problems. Here the economic context starts to help us explain constituencies’ pressures. If we accept that the Great Recession had its most destructive spillover on the housing market due to the Mortgage Subprime crisis, then we may assume that it is expectable and reasonable a shift in the policy . That shift in the policy must address landlord interests, which were affected by the housing market crisis. Then, the Great Recession marks the economic context that constraints Governor’s options. For the Governor, the challenge of moving out of the Great Recession lays in helping homeowners, including those who are renting apartment and making a living from that activity. The economic crisis created a new “rent seeker”: the landlord. The way the agent addressed his constituencies’ demands was by finding a Pareto efficiency equilibrium. If we take a look at the Governor’s Budget we can make two conclusions out of it: first the shift in the policy toward HomeBASE system does not represent a cut in other programs. It means no one else is losing its position because of the reform. The Graph number 1 shows the historical budget level from the General Appropriation Acts from FY2009 to FY2012. The Graph helps us to see how the transition in the policy is being implemented. The purple line reveals the spending of the Emergency Assistance Program (ShelterBase), whereas the Blue line, which marks in FY2012 38,562, reveals the increasing spending on the Massachusetts Short Term Housing Transition Program (HomeBASE). As the graph shows, the shift in the Homelessness policy basically is represented by the Short Term Transition Program. The manifested intention of the program is as follow: “…the assistance may include, but shall not be limited to Payments of rent and utility arrears; A portion of the household’s monthly rent, first month’s rent, last month’s rent, security deposit, Utility charges, Extraordinary medical bills”. The definition of the Program is not more than a contract lease between Landlords and the Commonwealth of Massachusetts. All the clauses that define the Program constitute a regulation framework for allowing private landlord doing business with the public sector. This paper tried to explain the most recent change in the Homelessness Policy in the Commonwealth of Massachusetts. By looking at the stakeholders and understand them as profit maximize, we may infer that the reform in the system is intended solely to help landlords. By promoting the shift in policy, the Governor may have acted as a trustee for landlords’ particular interest. It is important to consider as well that the mentioned change might have been result of the Great Recession spillover on Housing Market conditions. In that sense, we may conclude that the transition into a HomeBASE system was originated on economic pressures. Electoral incentives cannot be clearly determined this far yet. So, it constitutes a clear limitation for this analysis. Also, this analysis did not take in consideration policy options for the Governor, which also limits our conclusions. Simon, Christopher A. (2007). Public Policy: Preferences and Outcomes. New York: Pearson/Longman. Burt, Martha (1991). Causes of the Growth of Homelessness During the 1980s. Housing Policy Debate, 2(3): 169-203.